I've been incredibly determined and persistent to watch Disney's latest animation, Tangled, since the first time I saw the advertisement. 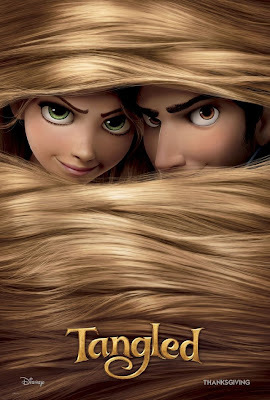 I noticed that it was already available in cinema few days ago so yesterday, I really forced a cartoon movie date with my husband in a nearby cinema. In the beginning he offered me to just watch the cartoon in Malaysia when we go back to Seremban since movie dates there will cost us much cheaper than doing it in Singapore, especially for 3D movie. I showed him a true spirit of stone head since morning and told him that there's no way that I am not watching this on this weekend, though 3D ticket in Singapore costs me a fortune (S$ 14/person)! I had a very good time of 100 minutes entertainment inside the cinema and no regret at all of spending almost $30 for both of us! 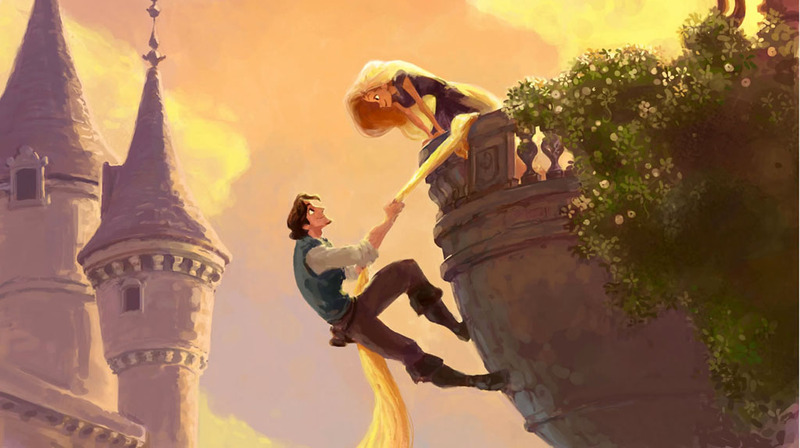 "Rapunzel, Rapunzel, let down your hair...!" The princess is cute and sweet. I love her drawing skill. I literally love her long blond hair. I envy her thick luscious long hair, so unlike mine which is getting thinner and thinner as I grow my hair longer. The guy is handsome and funny. The chameleon is cute (and green). The overall story plot is excellent. The background setting is just fantastic. The perfect new scores by Alan Menken remind me of my all time favorite Disney's The Little Mermaid. The beautiful floating lights pictured in the movie. 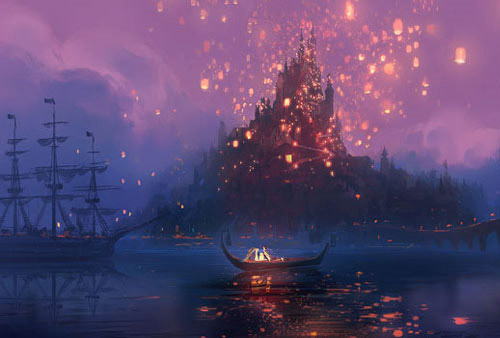 I personally think the idea of having the lantern scenes is just brilliant and breath taking. Both my husband and I shed tears towards the end of the movie. The movie is really that good! I am so getting the DVD once it's out! Aah.. It's been way to long since Disney last came with a pretty princess and a handsome prince. How I love fairy tales. *Photos are taken randomly from internet sources.